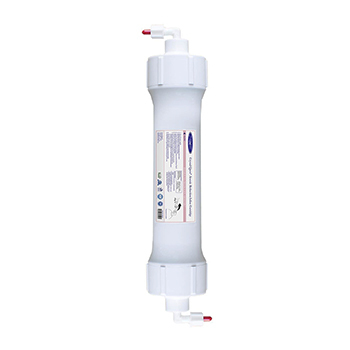 Inline Arsenic Removal Filter Cartridge. Available as addition to Reverse Osmosis and Bottleless Water Cooler systems. 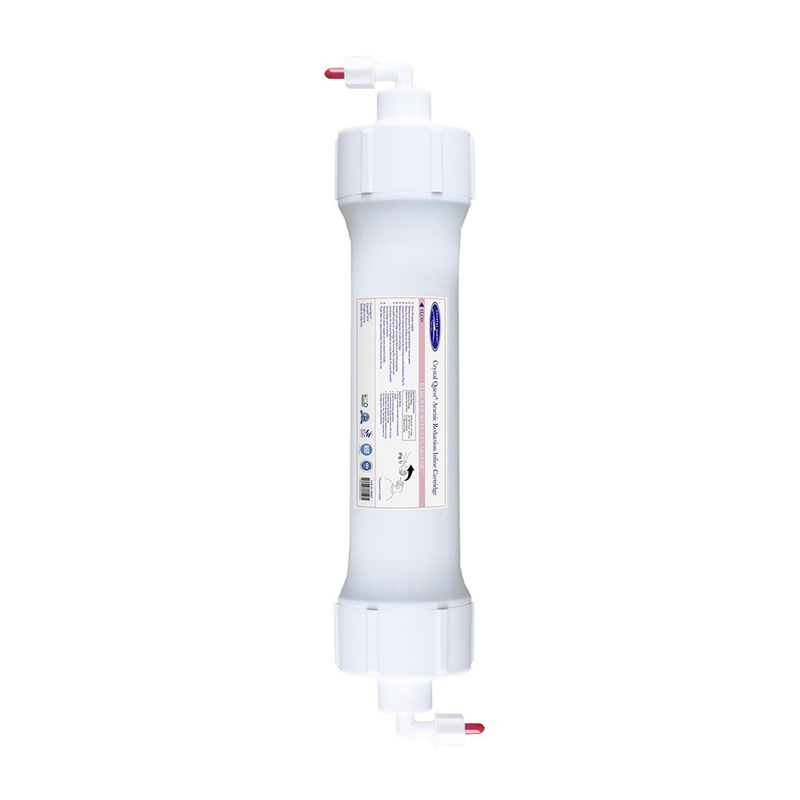 Arsenic Removal Filter contains a special arsenic-selective resin that's effective on both arsenic III and V, and effectively reduces arsenic levels in drinking water for municipal and well tap water sources. Filter also reduces fluoride and lead (although less effectively than fluoride or lead reduction filters). Uses standard 1/4" connection. Filter dimensions: 13"x3", total dimensions with connectors: 15"x3"
Filter life: approximately 1 year when used with municipally treated water source.